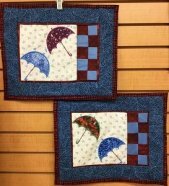 Prescott Valley's best resource for quilting, machine embroidery and sewing! Come in, be inspired and share your creative accomplishments with others. 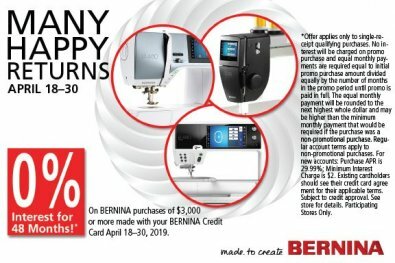 Quilt 'N Sew Connection is an authorized sales and service dealer for BERNINA products. We carry the full line of BERNINA sewing machines, the highest quality quilting fabrics, threads, embroidery designs, project kits and sewing accessories. We are committed to providing the very best in our product selection, customer service and education offerings. Check the Calendar for your favorite classes. Visit our Project Gallery. We have the fabrics, patterns and accessories to express your creativity! Our fabric selection includes Benartex, E.E. Schenck, Hoffman, Michael Miller, Moda, Northcott, Robert Kaufmann, Timeless Treasures and many more! Come, see and . . .be inspired by all we have to offer. 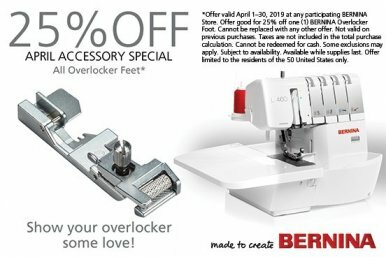 Quilt 'N Sew Connection is an Authorized Sales and Service Dealer for BERNINA Products. any purchase of $3000 or more! Make these darling spring placemats in class with Georgia! Georgia has a great project that will help with being organized for classes & retreats! Get in on the jelly roll rug craze! Joan is doing an encore of this popular class! !